POLICE Command has dispatched some officers from Lusaka to reinforce security and investigations following the murder of an agricultural extension officer. An agricultural extension officer, Michael Galillee Simunyola aged 48, of Mountain View compound in Katete district was murdered by unknown people and his body was found in a soya beans field belonging to a 53-year-old member of the community. Police Spokesperson Esther Katonga said there was need to intensify security in the area. Katongo has since called upon members of the public in the area to remain calm and allow the police to conduct investigations so that the perpetrators of the murder were arrested. 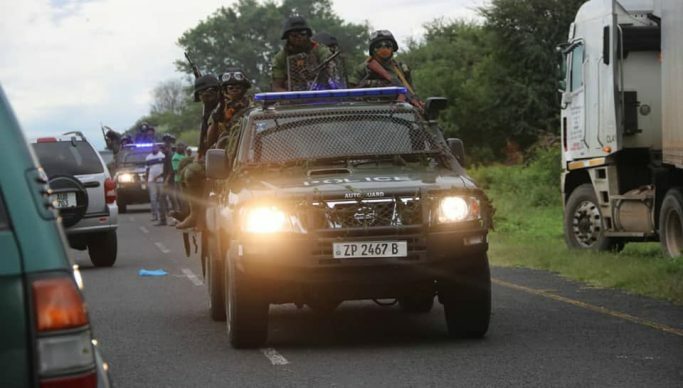 “People of Katete district should not live in fear because the police have already intensified patrols in the area to ensure that maximum security is provided,” said Katongo. The body was found with a deep cut on the head and a stick with blood stains suspected to have been used in the act was found near the body. The murder happened between 31st March, at 18 hours and 1st April, at 06 hours along Chikombe road in Chimwa farming area. The victim is reported to have left home on 31st March, 2019 at about 09 hours with a government motor bike, which was later found abandoned, 20 kilometers from the scene.